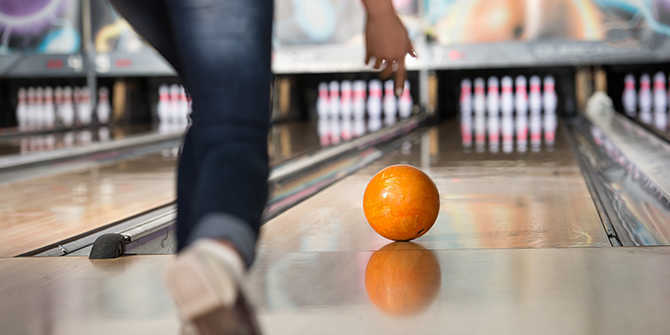 As we celebrate National Bowling Day on Aug. 11, Wichita prepares to welcome thousands of bowlers over the course of several months competing in tournaments and championships at Northrock Lanes and The Alley Indoor Entertainment. With a rich history of bowling at the collegiate level with Wichita State University and Newman University (both have nationally-ranked teams), the city is excited to host these major bowling events and welcome the athletes, their families and friends to our great city. This event is touted as one of the most difficult tournaments in the sport of bowling. This 56-game marathon will create the field to the finals, which will determine the winner of the coveted green jacket. The 2018 US Open will be played at Northrock Lanes on Oct. 24-31. Sign up for this pre-tournament qualifier here. Great Plains USBC is hosting the 2018 Annual Association Tournaments at The Alley Indoor Entertainment over the course of two weekends, Oct. 27-28 and Nov. 3-4. Open, women and senior tournaments are available. If you’d like to participate, register here. Celebrating 100 years of this tournament, more than 16,000 bowlers are expected to descend on Wichita from Apr. 20-June 29. This women’s-only event brings several months of bowling in one of the most prestigious tournaments plus a welcomed vacation for many participants. Make sure you register today! Book your hotel room if you haven’t already with the help of this list. Within the 2019 USBC Women’s Championships comes a coveted event: The 2019 USBC Queens tournament. Winners vie to take the crown in this event, open to any female bowler ages 16+. Winner gets the tiara to wear on national television! The 2019 USBC Queens tournament happens May 15-21 at Northrock Lanes. Sign up to compete today! A Wichita bowling tradition continues at Northrock Lanes with the Southwest Bowling 85th Annual Tournament. An open division and women’s division will be available for participants. New this year, the tournament will include more prizes and more ways to win. Registration for this event has not opened yet. Find out what else is happening in Wichita with our Calendar of Events page. Take a look at other things to do during your stay in Wichita.